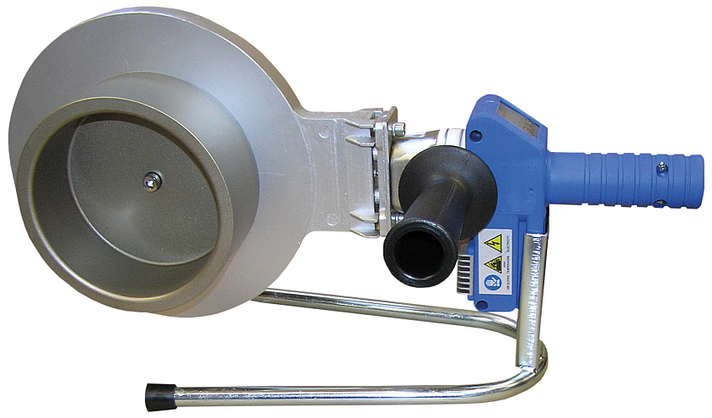 You are looking for a heating tool for heating spigots and sockets from OD 20 up to OD 63 resp. OD 20 up to OD 125? Then the Weld It size 1 resp. the Weld It size 2 is the right tool for you. Hand-held heating element with electronic temperature control for the double containment of anti-stick coated spigot and sockets. 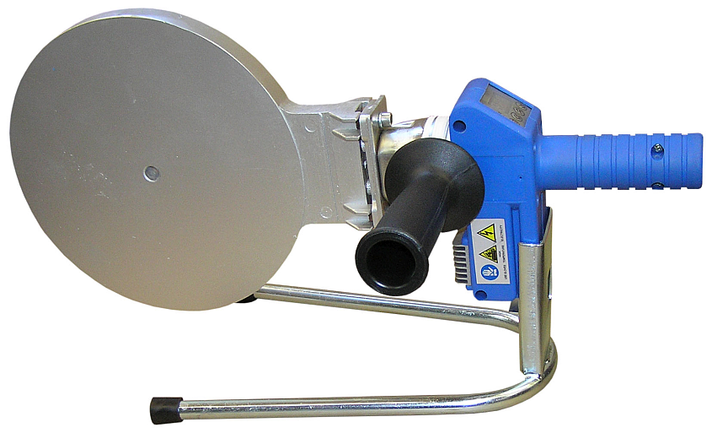 Weld It size 1 from OD 20 up to OD 63 and Weld It size 2 from OD 20 up to OD 125. It is equipped with control lamps, a digital display and buttons to set up the temperature. 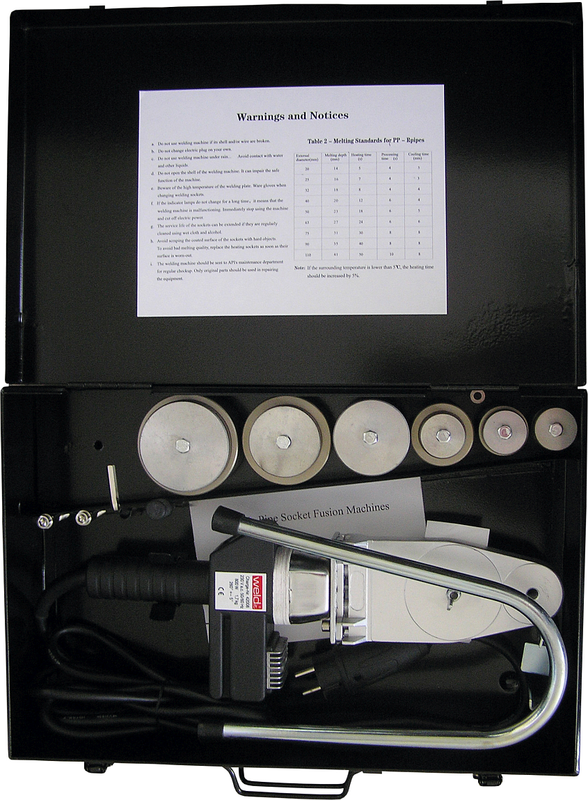 The hand-held heating tools are destined for anti-stick coated spigot and sockets from OD 20 up to OD 63 resp. OD 20 up to OD 125. 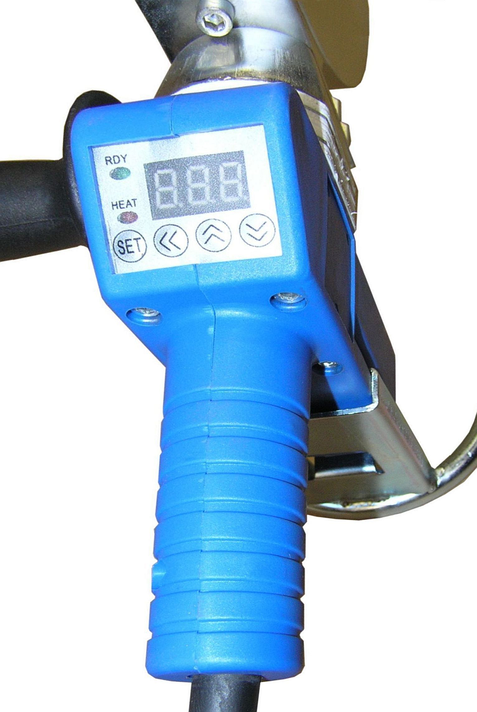 The Weld It size 1 and the Weld It size 2 have a digital display and pushbuttons for the temperature setting. For support on the building site or in the workshop one holding device is included with the heating tool. 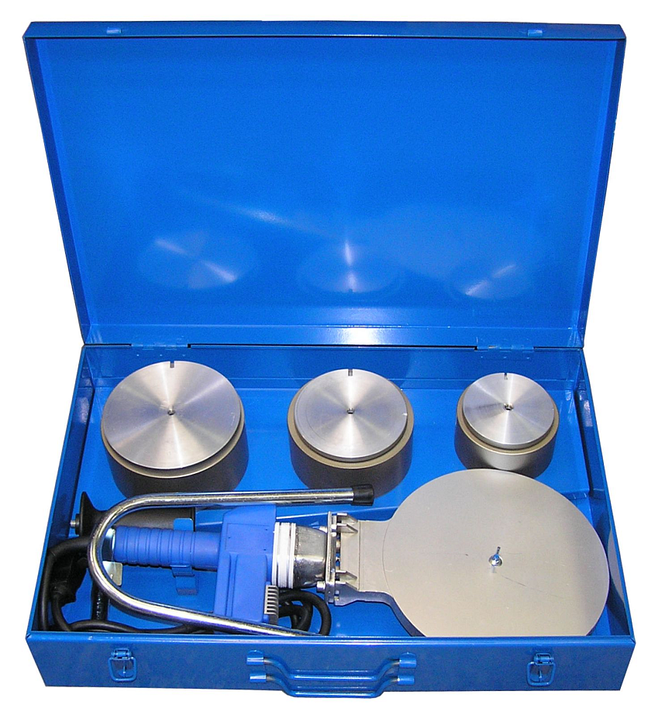 Everything is packed in a steel carrying case (for size 1 including spigot and sockets).